After drinking Ayahuasca, a special diet is followed for 24 hours. The diet is the key to healing and learning; what’s more, it can be dangerous for the body and spirit unless the diet is directing it towards healing. Food permitted on the diet consists of grilled fish or other wild jungle animals, boiled or grilled green plantains, yuca (also known as cassava, manioc, or tapioca), and potatoes, cucumbers, broccoli, oatmeal, and tapioca pearls (either roasted or not). Everything on the diet must be cooked without salt, sugar, oil or fat, spices or condiments. This is the original Ayahuasca diet and is the basis of its healing and teaching properties. On the diet, we don’t go out in the sun more than needed and avoid heat in general (no cooking or making fires). It is advisable to drink medicinal plant teas to cleanse the liver, kidneys, and stomach because the resin of the Ayahuasca is very strong and can be harmful to the body if it isn’t passed out of the system. In our healing center, on the day of the diet we cleanse the kidneys first with malva (mallow) tea and then the liver with garlic lemonade. Other plants can be used of course, but these two are very effective and also cleanse the stomach. After 24 hours, the diet may be broken. 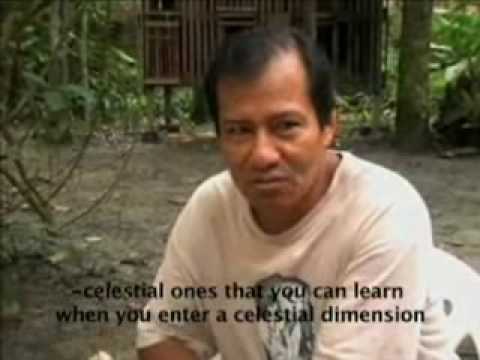 We chew a little chili with salt so that the Ayahuasca spirit departs. After that, one can eat normally, only avoiding pork (for a month), alcohol (for a week), sexual stimulation, and greasy foods (for several days). The diet is a time in which each person has the chance to reflect on life, reconnect with the self and the world; this is why the diet should be followed in a calm setting, with as little noise as possible.